The look of joy on a teenager’s face – often after being told they are useless at maths and don’t pay enough attention in class – when after a couple of hours of efficient teaching it dawns on them that they can do maths is “priceless”. Conran believes that schoolchildren who think they are no good at maths become adults who are labelled as stupid – by themselves and others. A possible pattern emerges as they pass on their Maths Anxiety to their children. Conran says it’s not the parent or child who is wrong but the teaching of maths in the UK. “A good mathematician is not always a good maths teacher,” she says. Conran’s work started in 2004; in a bookshop, Conran searched for a good maths textbook for her god-daughter: she did not find one. “The instructions were inadequate, the author did not communicate well and the writing was dull – so those text books did not engage the reader,” she says. After further research, she decided to write her own a maths course. She wrote and – extensively tested – MONEY STUFF, an interactive eBook maths course for girls (on iPad), which does not need a teacher and costs nothing – it is free. Also in 2004, Conran also founded a small voluntary group, Maths Action, to improve maths performance in Britain. In 2015, with a small group of friends, she decided to focus on Maths Anxiety because this not only affects individuals but UK productivity: members of the Confederation for British Industry complain that at workforce entry level, they pay over a £billion per year for remedial courses in maths and English. 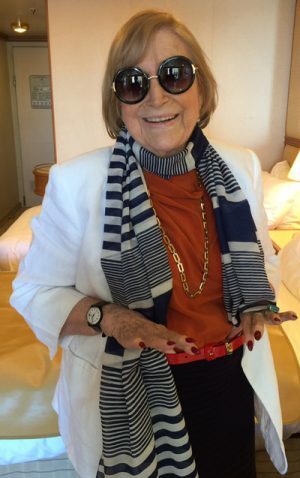 In 2016 Shirley Conran was presented with an Honorary Fellowship by University College London (UCL ]. 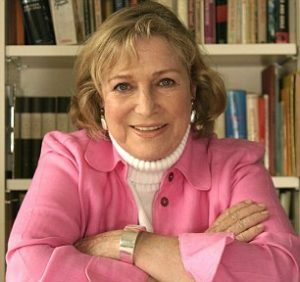 The author of books, such as Superwoman and Lace, that have sold round the world in millions, Conran funds her own campaign work with money made from her best-selling books. She is now working on Maths Anxiety: The Handbook for Parents and Teachers. This year, Maths Anxiety Day will be held on 13 June 2018 after a lunch at the House of Commons hosted by Nicky Morgan, MP, a lunch at the House of Lords and an evening Summit at London University for stars of the maths world and other educational experts, at which Justine Greening, MP will speak of the importance of maths to social equality. As a grand-mother and someone who has “always wanted to try and improve life for other women”, Conran is deeply concerned about what the future holds for the younger generation, especially those who already have Maths Anxiety. And Maths Anxiety is a very real phenomenon, measurable on rating scales. In fact, brain scans show that the area of the brain that is triggered when someone experiences Maths Anxiety overlaps with the same region as that affected by bodily harm.